For many generations the Pittaro Family has been cultivating the Vitis vinifera, the vine, in its beloved land. A Friulan with an authentic history that firmly believes in the passion for its land and the cultivation of the vine. Pitars is proud to produce young wines, important wines and 'meditation' wines, such as Angelo, the sweer blend of indigenous grapes. The Pitars product selection can satisfy the most expert and demanding palates, promising the senses an intense and unmistakable experience, able to surprise even those who love Prosecco. The winery's work is not merely growing grapes and making wine, as they have always conducted research alongside institutes and universities in a bid to use the latest technology to combine increasingly better quality with a lovingly crafted product. All the work in the vineyards is carried out by hand in order to leave the local environment and its biodiversity unharmed, continue the winemaking tradition of the Valpolicella Classica region, and be the driving force behind both social and cooperative projects. Perlino boasts a history that began more than 100 years ago. The winery's wine-growing tradition has strong, deep roots in the hills around Asti, Piedmont, an area where wine-growing, wine-making and knowledge of wine are not only a tradition but especially culture and art that, perfected over time and handed down across the generations, have seen our company accumulate a unique and incomparable background of experience. The San Quintino winery is situated in Tuscany, halfway between Florence and Pisa. The company produces wines and extra-virgin olive oil since 1967. Our ongoing efforts are focused on producing high quality wines and oil that are originated from our vineyards and olive groves exclusively. The cooperative has its roots in the history of the region: The name “Fontana di Papa” refers to the fountain Pope Innocent XII had built at the end the XV century with the purpose of refreshing travelers. Fontana di Papa winery has an estimated 400 hectares of vineyards cultivated by 150 associated growers. Over the years the winery has developed multiple and modern growing and winemaking techniques to obtain a high quality product. The wines are established in the national market and the brand is well known in Europe and in other major international markets. 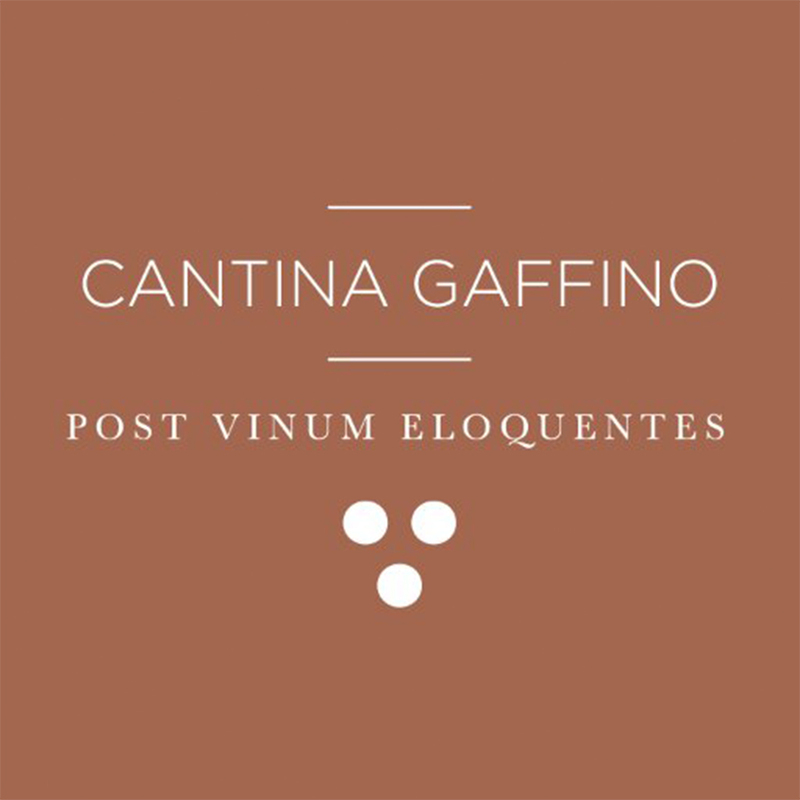 Cantina Gaffino is deeply rooted in its territory, a land devoted to wine production and wine with a history of over two thousand years. The winery wants to offer fine wines, which are the expression of the values of the territory and of the passion dedicated by the family for almost sixty years. The farm is a few kilometers south of Rome, and covers an area of 32 hectares, of which 28 are viticut. The geographical position, the volcanic soil, the exposure of the vineyards and an altitude of about 150 meters above the Tyrrhenian Sea, create ideal conditions for a healthy and balanced growth of vine and its fruits. The home of the famous Campania DOCG wines stretch from Naples to Irpinia. Coming from a family of Neapolitan winemakers, Michele and Gianni La Marca, father and son, decided to establish their company here and personally follow every production aspect from harvesting to marketing. The production of the Cantine di Tufo Family La Marca is broad, typical and highly prized by offering a wide choice of excellent local wines from Campania between white and red wines. "Il IV Miglio" is a wine farm that since many generations of owners focuses its activity on product's quality in a geographic area that since thousand of years is the cradle of an excellent wine, as evidenced by the ancient Romans that created on Phlegraean wine a parameter of enological nobility. The estate has some crucial factors by its side: tradition, land, innovation, team work. Judeka was born in 2007 from the initiative of a group of young Sicilian entrepreneurs, led by Valentina Nicodemo who is to be credited as the heartbeat of the company. The company story is unique, starting from nothing but perseverance, passion and research of young wine neophytes. They have worked on a rich but arduous land that is Sicily to successfully fulfill their own dream “Judeka”. Irrefutably, any exposure to such a magical land inspires hope for all young Sicilians like Judeka young group of entrepreneurs. Isola Imports has been one of the relevant importers of Italian products since 1992. For 25 years, Isola has been seeking out the best producers from the farthest corners of Italy - Puglia and beyond - to gather treasures from decadent truffles to the most delicate of lemon ricottas or to create "My Brother’s Olive Oil" from their own family olive grove. In occasion of the 25th Anniversary, Isola Imports' will be showcasing its best products during the two-days expo.